Samsung did not give us a rear triple camera system for the Galaxy S9 or the Note9. 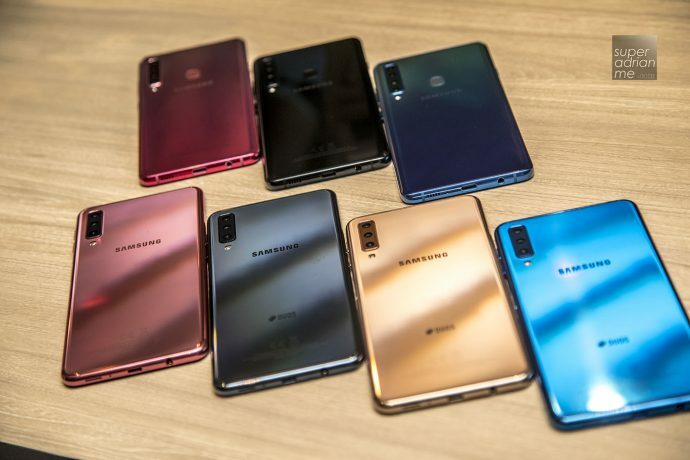 Instead, Samsung skipped that and debut the first-ever rear quad camera system in the world on the latest edition of the Galaxy A9. It was unveiled this afternoon at the W Kuala Lumpur that opened on 23 August 2018. 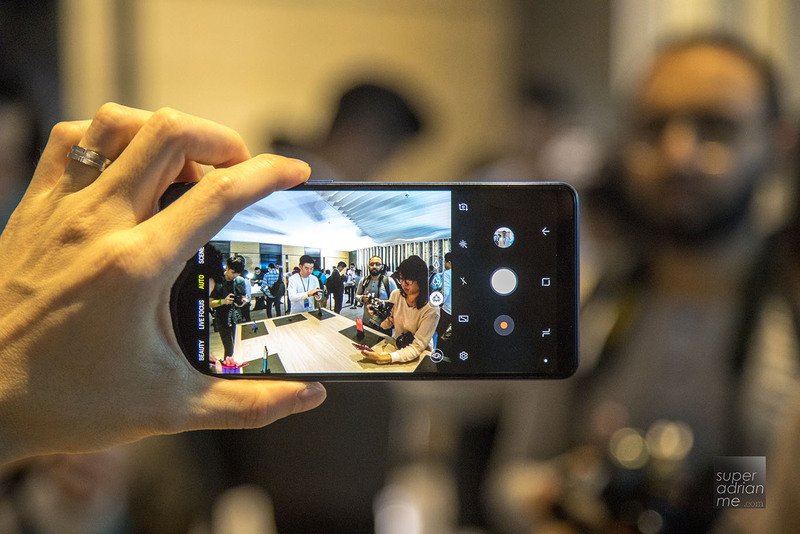 Whether it’s capturing a dare-devil selfie or that perfect panorama, the Galaxy A9 is the ultimate companion for capturing and sharing everyday adventures. The quad camera system consists of a 8MP F2.4 Ultra Wide camera, a 10MP AF F2.4 Tele Lens camera with 2x optical zoom, a 24MP F1.7 Main camera and lastly a 5MP F2.2 Depth camera. With that setup, it allows you to capture dynamic and beautiful photos effortlessly. With four lenses, experience even more ways to unleash your creativity and capture, create and share stunning images. 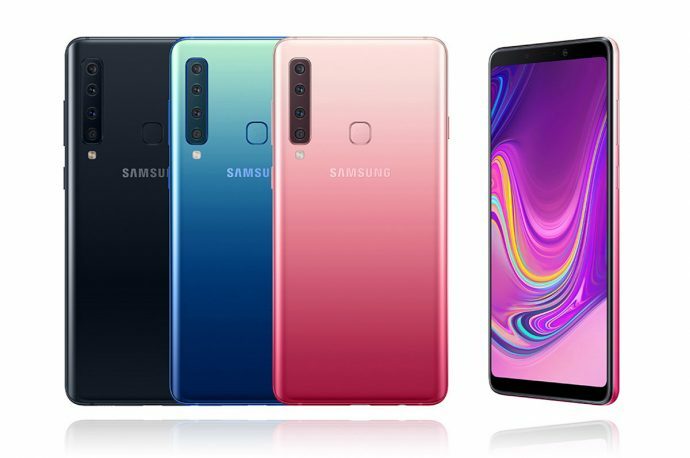 The Samsung Galaxy A9 has a 3,800mAh battery for longer battery life and also 128GB storage so that you can take as many videos and photos since you have a phone with a quad camera system. The storage can boost up to 512GB with expandable memory via MicroSD card slot. 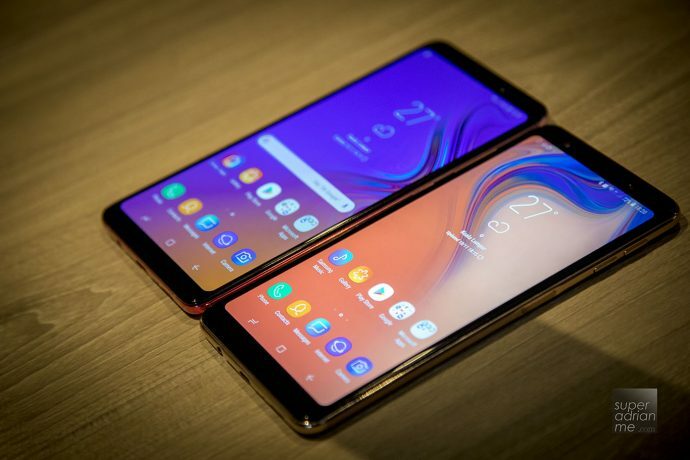 Designed to make life more convenient, the Galaxy A9 features Bixby, Samsung Pay and Samsung Health and you can take advantage of the many multi-tasking benefits the Galaxy A9 offers, including App Pair. The Galaxy A9 is styled in three unique gradient colours which are beautiful and kinda resembles those on the Huawei P20. The Caviar Black, Lemonade Blue and Bubblegum Pink spot a sleek and ergonomic design. The Galaxy A9 fits in one hand with a 3D Glass curved back for a high-quality comfortable feel. The Galaxy A9 also features a huge notchless 6.3″ AMOLED display for entertainment on-the-go. 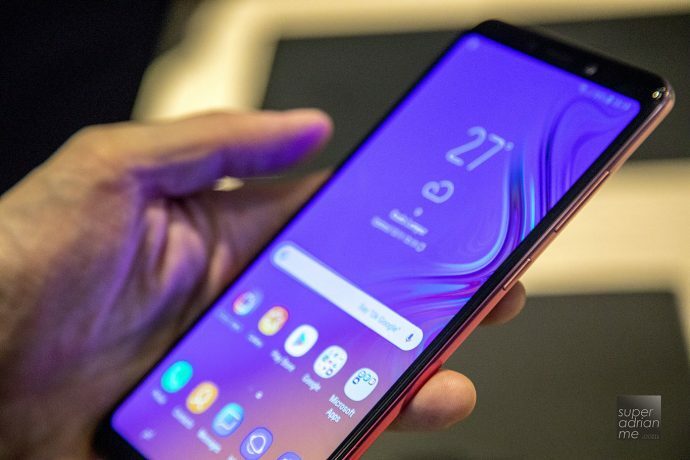 The Galaxy A7 was also showcased at the launch event in Kuala Lumpur with four different colours and the power bottom on the right side of the phone also scans your fingerprint to unlock your phone. 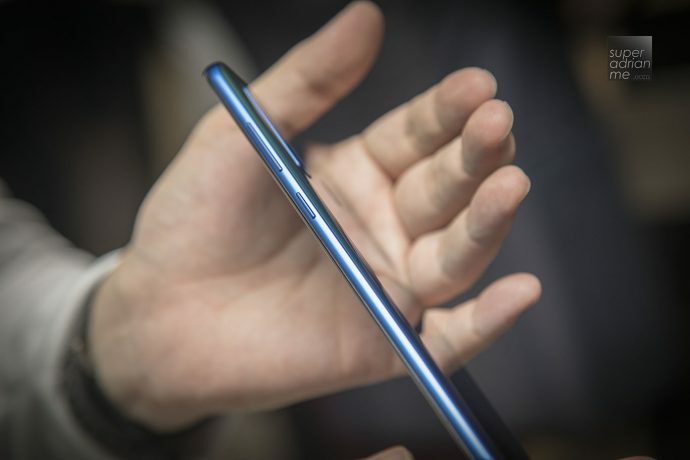 Fingerprint unlocking for the Galaxy A9 is at the back of the phone. 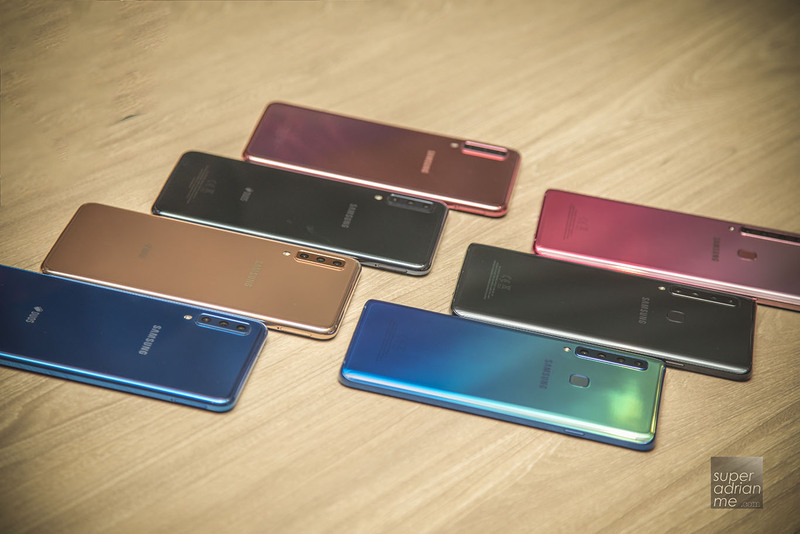 The Galaxy A9 will be available in Singapore and selected markets from November 2018. 1 Typical value tested under third-party laboratory condition. Typical value is the estimated average value considering the deviation in battery capacity among the battery samples tested under IEC 61960 standard. Rated (minimum) capacity is 3,720 mAh. Actual battery life may vary depending on network environment, usage patterns and other factors. 2 Availability of Bixby services may vary by market and Bixby voice only supports Bixby 1.0. The galaxy a9, is water proof?